Facebook ad conversion attribution is one of the most confused and least understood topics for advertisers. What is considered a conversion? Which ad gets credit? This post will provide necessary clarification. What Does Facebook Consider a Conversion? For Facebook to report a conversion when you run ads, you’ll first need to use the Facebook pixel. Additionally, you’ll need to create Custom Conversions or events so that Facebook knows when a conversion happens. This part is important, if not obvious. 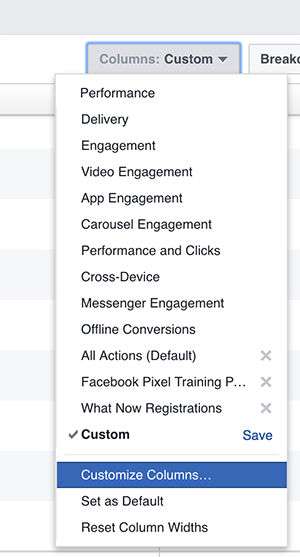 Facebook doesn’t know when a conversion happens unless you provide rules that tell Facebook when they happen. By creating Custom Conversions or adding event code to a web page, you tell Facebook that a conversion happens when that page is visited. But here’s a point that is often misunderstood: These numbers do not necessarily represent the number of people who clicked your ad and converted. They include all activity on that event or Custom Conversion — whether they came from your Facebook ad, a Facebook post, or somewhere else entirely. The source doesn’t matter. That’s why the numbers you see here will almost never match up with the numbers associated with your Facebook ad campaign. When Facebook reports that someone converted as a result of being shown your ad, rules need to apply to assure accuracy. Advertisers often wrongly assume this number only includes those who click the ad and immediately convert. Facebook knows who saw or clicked an ad. Facebook also knows who visited a page you’ve defined as a conversion (thanks to the Facebook pixel). In most cases, the vast majority of your conversions will occur immediately or soon after a click. But that also depends upon how long it typically takes for someone to convert (often influenced by price or commitment level). Another factor would be if you send concurrent email messaging to the same audience. At the bottom right, you’ll notice the default attribution settings. Assuming you haven’t changed them, they’ll be 28-day click and 1-day view. But you can actually change this default by clicking on the “Edit Attribution Settings” link. This allows you to change attribution to “Click” only if you want, or you can adjust the sliders to change the days in each window. 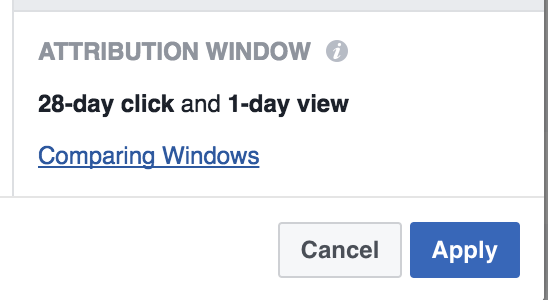 You’ll then get checkboxes for 1, 7, and 28-day Click and View attribution windows. For fun, let’s select them all, and then click the “Apply” button. You’ll now see three new columns each for View Conversion and Click Conversion. Hover over the data in a column to see what it represents. Understand that if something falls within the 1-day window, it also falls within the 7 and 28-day windows; and if something falls within the 7-day window, it also falls within the 28-day window. So there are a total of 92 click conversions and 1 view conversion here. 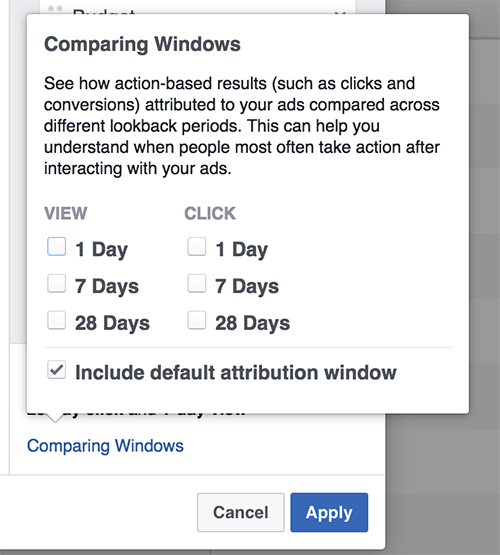 You’ll recall that by Facebook’s default attribution settings (1-day view and 28-day click), there were 92 conversions. We can see now that these all fall within click conversions (91 1-day clicks and 1 7-day click). The 1 7-day view isn’t counted because it falls outside of the 1-day view attribution window. So in this example, we can see that almost all of the people registered on the first day of clicking the ad. When Will You See Conversions Beyond 1-Day Click? 1. It often takes longer than one day for someone to convert. The typical registration is a simple decision. Do I want to register for this free thing? But a purchase decision, in particular, is more complicated. Does the potential customer have enough money? Do they have their credit card handy? Do they need to do some research before making their decision? The more money a product costs, the longer we can expect the decision to take. And as a result, you may see more conversions happen beyond the 1-day click. 2. You are sending concurrent messaging to the same audience via email or other means. You reach Person A with an ad for your product. They see it, but don’t act. Facebook knows that the ad appeared in their news feed. Later that same day, you send an email to this same person. They then decide to act and make the purchase. Facebook will count this as a view conversion because it happened within one day. If it takes longer than a day, Facebook will not count it (at least, according to the default settings). Some advertisers don’t like this. But my counter is that the ad likely contributed. The person may not have acted on the ad, but that branding and messaging may have helped make the decision to open the email, click, and buy. Of course, if you don’t like this attribution, you can change it! 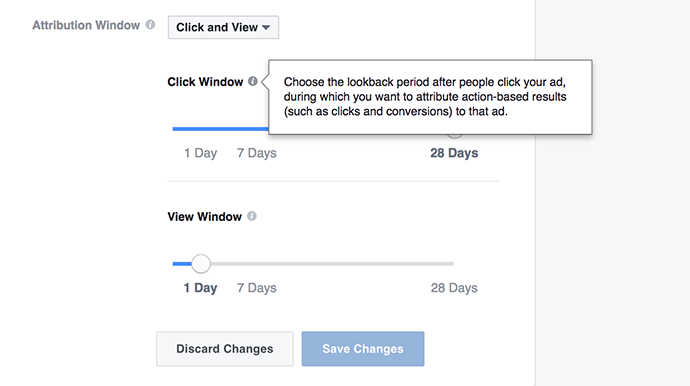 According to the rules mentioned above, there are three ad actions that could qualify as a conversion (14-day click, 2-day click, and 1-day view). So do all three ads get credit?? Nope. And while you may assume that the ad the user viewed today would get credit, you’d be wrong. So in the example above, the 2-day click would get credit because it was the most recent click. Had there never been a prior click within an attribution window, the 1-day view would have received credit.